Spilled glue can create quite the sticky situation. But you're not stuck without options: Try any of these simple, smart solutions, and you can rid nearly any household surface of glue residue quickly. Glue is an essential product for home repair mavens, DIY enthusiasts, and recreational crafters alike. But when the sticky stuff results in a sticky situation spilled over an unwanted surface, cleaning up the residue can be a tedious task. 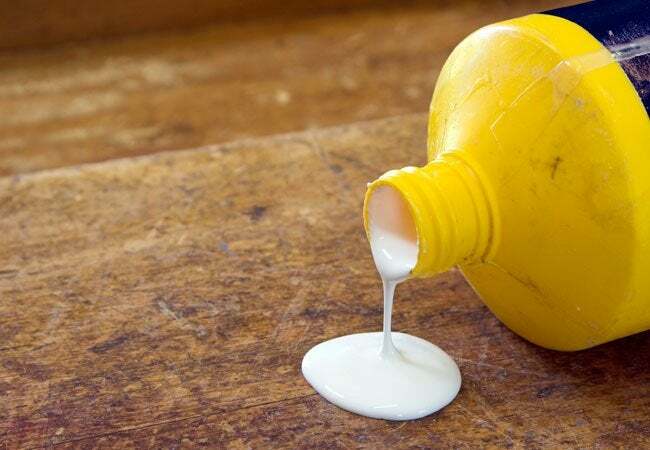 We’ve already covered the steps to take when battling superglue stains; here, three more fixes that easily remove dried school glues, craft glues, and other common adhesives from everyday household surfaces. Whether you’re dealing with melted painter’s tape on a window or stubborn sticker residue on a jar, scraping glue from glass be frustrating without an assist from some sort of adhesive solvent. You can always recruit the help of household staples like nail polish remover and white vinegar, but the lubricating ingredients in WD-40 make it the most effective product for the job. 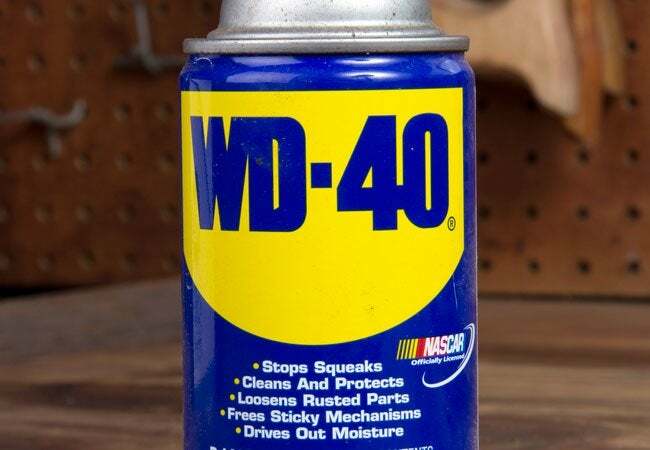 Before using WD-40, ensure that your space is well ventilated. Spray the product onto the glue, let it soak the residue for a few minutes, then remove the glue by wiping with a clean cloth. Repeat these steps, if needed. Once the surface is clean, spritz it with your everyday glass cleaner for a spot-free finish. 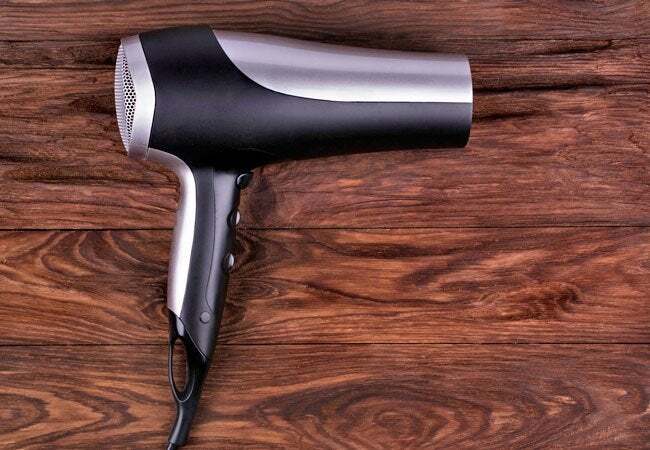 Whether your toddler went sticker crazy on your dining room table or you can’t get rid of lingering stickiness from the price tag on your wooden furniture, one unexpected hero can save the day: your hair dryer. Switch the appliance on at its lowest setting, and direct the heat over the dried-on glue for about 15 seconds. Just keep the nozzle 2 to 3 inches away from the sticker, or else you risk overheating the wood and damaging its finish. Then, using a plastic scraper, slowly peel off the sticker or its residue from one edge as you continue heating the area. Extra-sticky glue may require more heat before peeling. Lightly clean the wooden surface after removing the glue. • Heat: Some dried glues may loosen from treatment by a hair dryer and plastic scraper, as described above. • Pretreat: Other glue stains may respond better if you apply petroleum jelly overnight, which saturates the adhesive just enough to ease it off with a plastic scraper the next day. • Try a remover: Commercial glue removers like Goo Gone, or household products like vinegar, may also work. Both, however, have the potential to damage wood finishes. 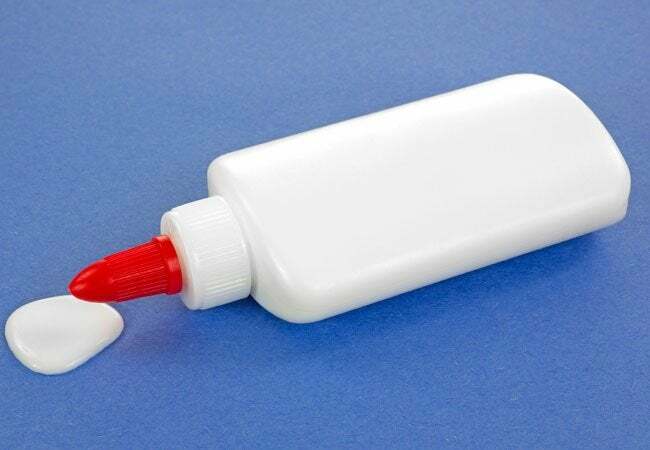 If you decide to try a commercial glue remover, be sure to read its label first and, before using, test the product in an inconspicuous area according to the manufacturer’s suggestions. When planning to remove a blob of unwanted glue from plastic, proceed with extreme caution. Often, you don’t want the color of the plastic to fade or disappear due to treatment. Even more importantly, however, you don’t want to use a chemical solution that will melt the plastic or emit dangerous fumes. You can breathe easy during cleanup with one of these two all-natural aids: white vinegar or cooking oil. First, grab a plastic scraper and attempt to lightly chafe the glue. You may find that, thanks to the wonders of chemistry, the glue didn’t bond properly to the plastic in the first place. If the sticky remnants won’t budge after a light scraping, saturate the spot with either vinegar or oil. (Before you commit, test the solution in an inconspicuous area to see if it damages the colors or the plastic surface and, if you don’t see a negative reaction, proceed with the pantry item of choice.) Dab the vinegar or oil to the glue, and let it sit for a few minutes to loosen its dried-on residue. Rub it with a clean, dry cloth until you see the glue coming off, and then wash the plastic item as you normally would.